Love rainbow, not war! Or something. 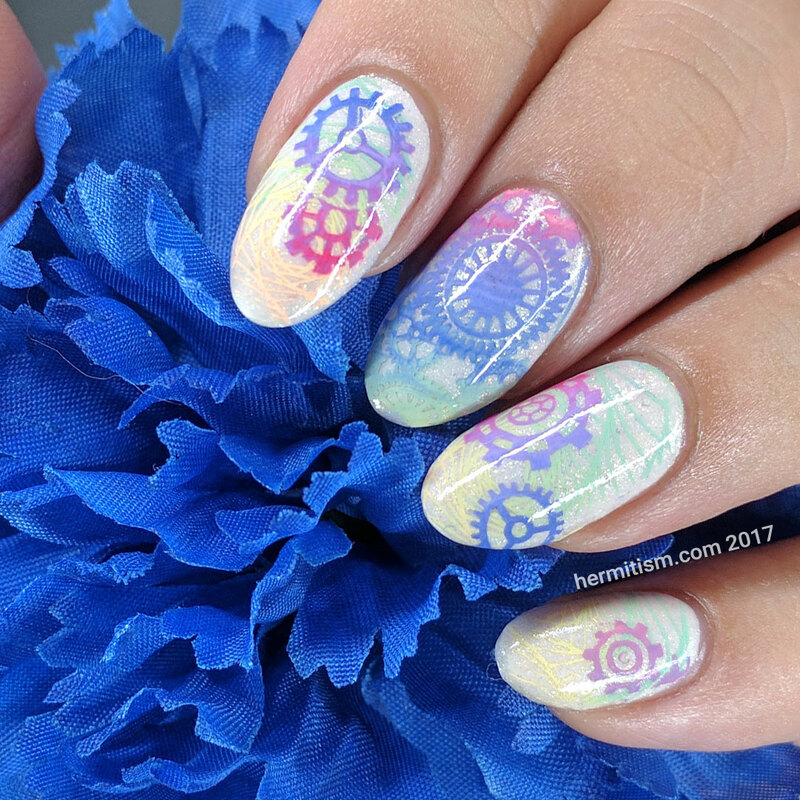 🙂 The prompt for #26greatnailartideas was Color Explosion so I decided to stamp with rainbow and gears, hence the butchered gaming reference. A game which has nothing to do with rainbows, sadly. Or clockwork gears. Or steampunk. 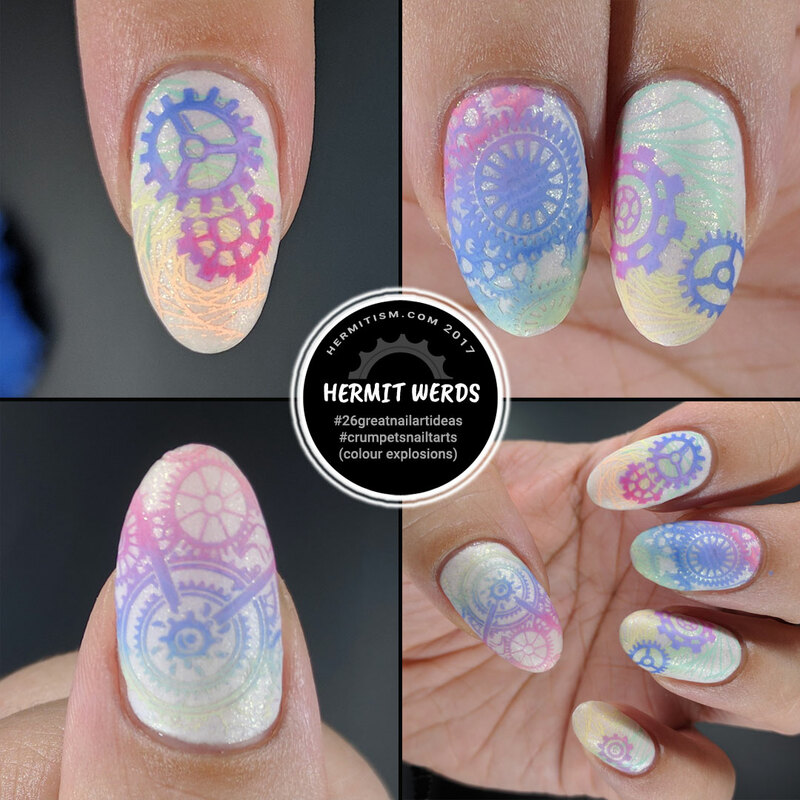 These nails would work with steampunk if you were wearing the exactly right outfit which I don’t have (because I don’t have the right coloring for pastel neon). Just trying to mix things up a bit. 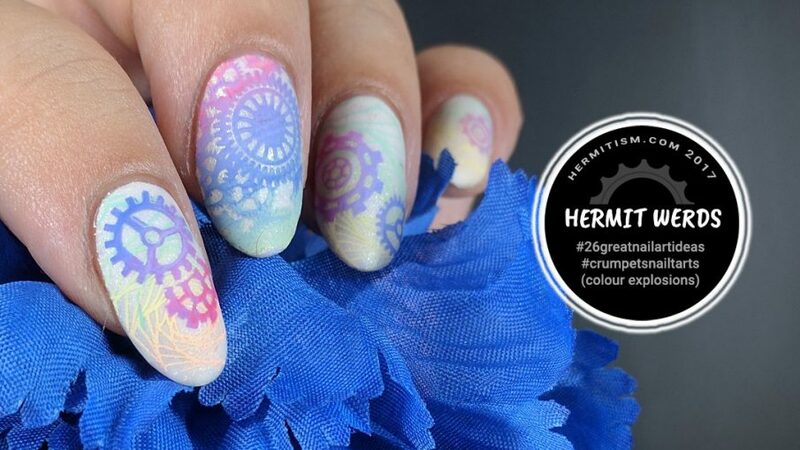 Although I do want to keep branching out beyond the whole gear thing when it comes to steampunk nail art. It’s not easy to do in a small surface. Doing more freehand nail art will hopefully help. Ooh pretty <3 I like it!